If you have already pre-ordered the ￼￼reMarkable paper tablet away pleased to know that the company will start shipping 11,000 units on August 29th, 2017. The reMarkable tablet is equipped with a 10.3 inch E Ink display and come supplied with a digital pen supporting 2048 levels of pressure sensitivity. The paper tablet for people who prefer paper. Here to replace your notebooks, sketchbooks and printouts. Paper-like reading, writing and sketching with digital powers. A true paper person, Magnus Wanberg, CEO and founder of reMarkable, has always attended lectures, classes and meetings armed with a notebook or printouts. But using paper also brings downsides, from typing up handwritten notes to endless printing; from searching through a dozen notebooks to find something to not having the books or documents you need with you. So, in 2013 Magnus, together with the reMarkable team, set out to create a device that would offer a pure, paper-like experience, but be connected and limitless. The first real digital paper tablet. 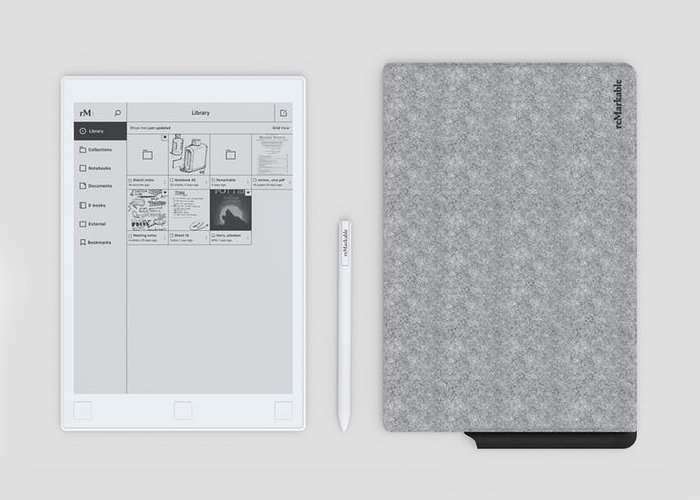 Designed for reading, writing and sketching. And to be an elegant tool for thinking in the digital age, for those who love the inspiration and clarity they get when working on paper. To preorder your very own reMarkable paper tablet jump over to the official website via the link below where the tablet is now available at a limited preorder price of $479 offering a considerable saving of the $716 recommended retail price.